Solution for IoT Device Management. Supervise with our IoT Device Manager. 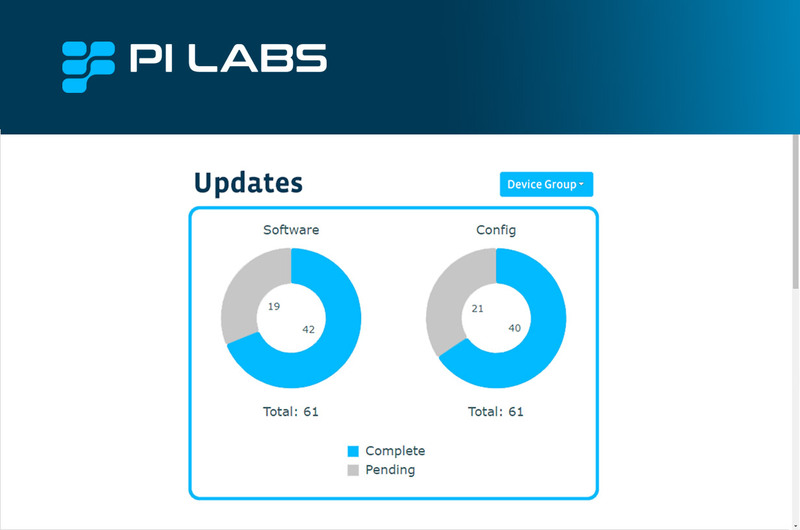 Take control over all of your PI Labs devices independently. 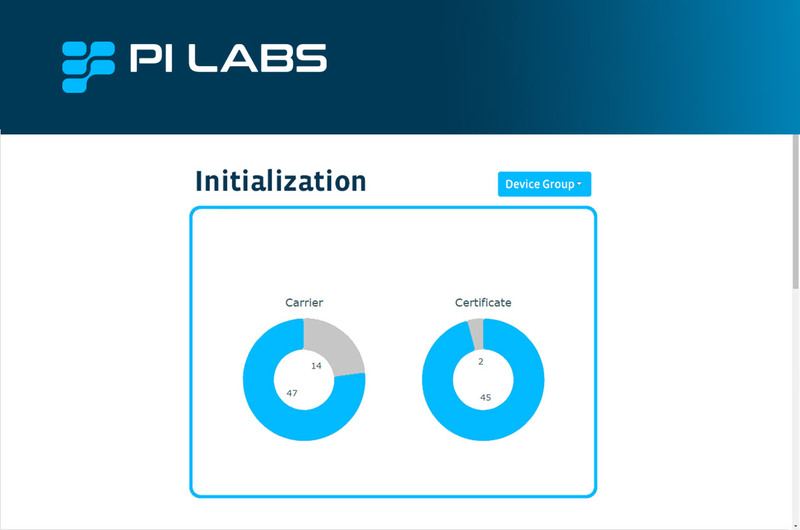 With the IoT Device Manager by PI Labs, you can initialize your devices on your own - and effortless - remotely and execute the initialization of any device in an easy and fast way. 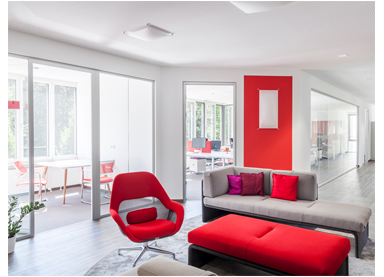 The monitoring process can be conducted remotely, at low cost and without our intervention using our Software-as-a-Service to manage the entire collection of your IoT devices. The over-the-air update will increase the efficiency significantly. You can send OTA updates through our web-based tool. Have a great overview in our user-friendly dashboard. Easy to initialize and run your devices. Get started and bring a device into a working state to a useful functioning for later use. View related devices and detailed information facilitating hundreds of device's initializations in our web-based tool. Monitor your IoT devices with our control panel. A simple way to monitor your devices remotely. 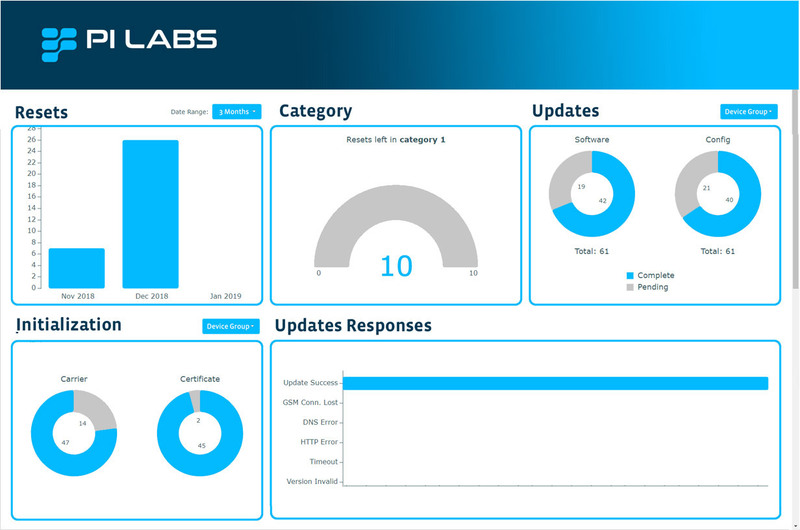 The PI Labs Device Manager is a software that allows you to monitor your devices separately by groups and control the activity through your web browser and has easily manageable content options and filter settings. The PI Labs Device Manager has a run command for software updates. Execute updates remotely and detect failed or troublesome software updates on your web browser. Be able to manually tell a bunch of devices to install their updates right at that moment. Ensures updates easily and anytime. Enable automatic updates with just a few clicks. We provide an easy way to control your updates. Our Device Manager includes a software update feature that automatically checks for updates and inform you when they fail during the proccess. After the successful installation, the updates are able to be done through the control panel. The software was successfully updated. Failures to software's update were reported. The device was updated successfully. We couldn't complete the config updates.